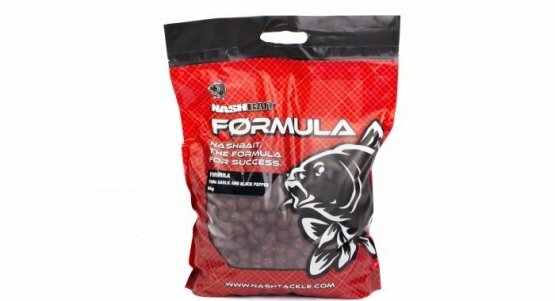 Formula is the answer for big baiting and big venues, a highly cost effective mix ideal for bulk baiting to stop big water, nomadic carp in their tracks. 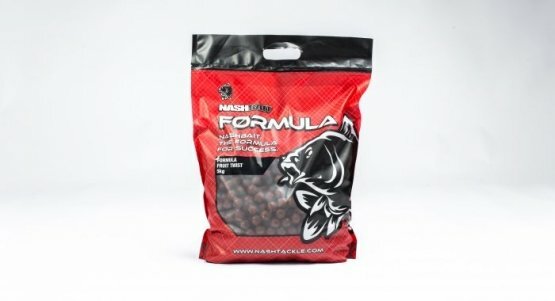 Developed by Kevin Nash and Gary Bayes back in the 90s Formula's high carbohydrate blend of cereals is much cheaper to produce than baits with more refined protein ingredients, resulting in a mix that can be fed in the quantities required on huge rivers or massive reservoirs. Results prove that carp have different and varied reactions to different baits from water to water, the revised Formula range covering all tastes, from the sweet Fruit Twist to the smooth Banana Cream and savoury but strong Tuna, Garlic and Black Pepper. 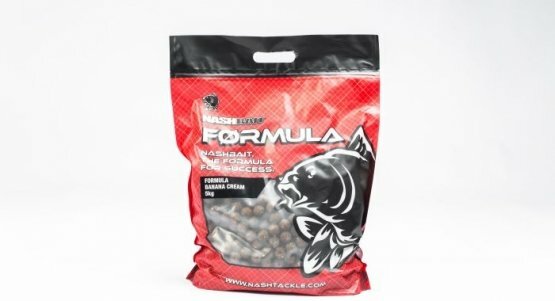 The inclusion of Black Pepper in this blend is deliberate, helping avoid problems of bream as well as being a time served carp attractor. Available in 20mm in 5kg bags.